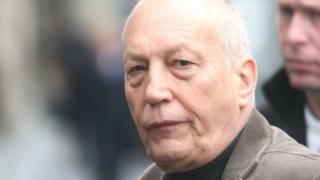 An Edinburgh man has admitted faking a relative's multi-million pound will in a bid to cheat a humanitarian medical charity out of a "colossal" legacy. Paul Coppola, 65, received a payout from his second cousin's estate but when police were called in he admitted forging the deceased man's signature. Coppola said he did not agree the money should be left to Medicins Sans Frontieres. He had previously admitted fraud between October 2011 and October 2013. He admitted obtaining £300,000 and two properties by fraud and attempting to obtain the residue of the deceased's estate. His sentence was further deferred on Wednesday for additional background and financial information. Edinburgh Sheriff Court heard he had known Desiderio Coppola all his life and they had a close relationship, referring to him as an uncle. Mr Coppola had signed a will in July 2010 appointing a friend, Christopher Ferrard, and his solicitor to act as his executors in the event of his death. The will bequeathed various amounts among friends and family, including a £100,000 legacy to Coppola. It also gave instructions that tenants of business premises were to be offered a reasonable chance to purchase those premises and left the remainder of his estate to Medicins Sans Frontieres which provides medical aid in war torn regions and developing countries. However, the court heard that in October the following year, just days before Mr Coppola's death a new "will" appeared which purported to bear his signature. It appointed Mr Ferrard and Coppola to act as executors and altered bequests to friends and family and removed one person completely from the will. It made no reference to business premises and instructed that the remainder of the estate be paid to Coppola, cutting out the charity. Fiscal Ann MacNeill earlier told the court when Mr Coppola died in 2011 his estate was valued at about £7m. Sheriff Frank Crowe said: "It's a colossal amount involved here in the attempted fraud. "The court has to consider that at the end of the day."